BEIJING, April 15 (APP):China Monday highly applauded Pakistan for releasing guidelines to implement the National Action Plan as per United Nations Security Council’s resolution and said it showed its resolve to fight terrorism. “China noticed the relevant report. 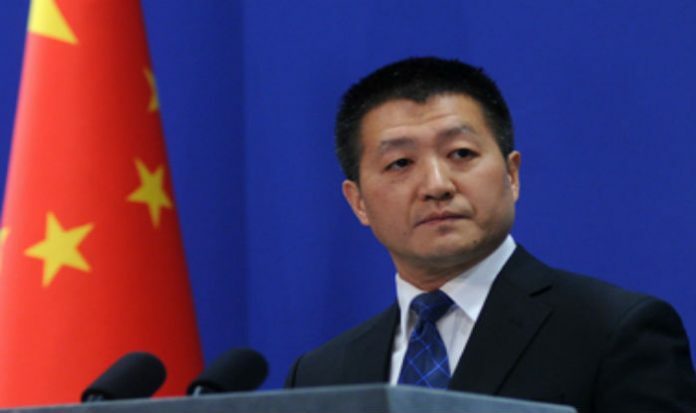 The newly released guidelines are Pakistan’s latest measures to implement National Action Plan,” Chinese foreign ministry’s spokesperson Lu Kang said during his regular briefing here. He said the newly released guidelines last week showed Pakistan’s resolve and commitment to firmly implement the UNSC’s resolutions. Lu Kang said Pakistan as an important participant in the international counter-terrorism campaign had long been making great efforts and sacrifices with this goal. “China supports Pakistan in advancing counter-terrorism efforts based on its own national conditions,” he added. The spokesperson hoped that the international community would enhance cooperation and jointly uphold regional peace and stability. Last week, Pakistan launched the guidelines for the implementation of the UNSC 1267 Sanctions to further oversee and guide the federal and provincial governments’ implementation of sanctions against individuals and entities designated by the UNSC. The guidelines have been formulated, in consultation with stakeholders and in compliance with international standards especially the requirements of the UNSC 1267 Sanctions Committee and the Financial Action Task Force.